Here is a printable shape of Texas download you can use for learning activities and crafts. 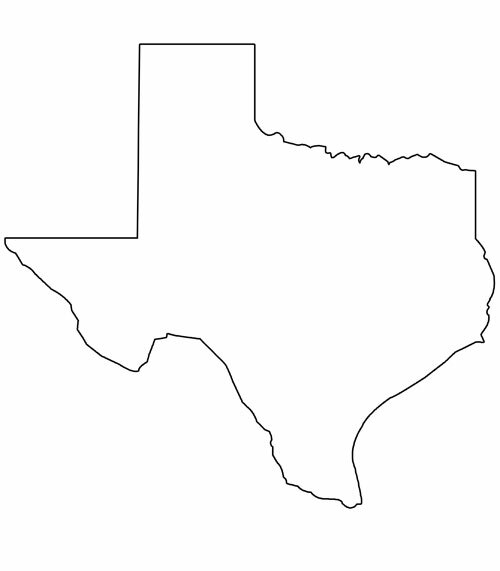 This blank printable shape of Texas outline is useful for coloring or drawing a map of major landmarks in the state of Texas. A page with one large shape of Texas. A page with two medium-sized Texas state outlines. If you would like to share the printable Texas state outlines with a friend, please send them directly to this page (Do not link directly to the download file.) so that they can download a copy for themselves.